If you or a loved one has an addiction to benzodiazepines such as Diazepam (Valium), Temazepam, Alprazolam (Xanax) or Lorazepam, you will need to undergo a medical benzodiazepine detox to achieve abstinence from these very addictive substances. It may also be the case that you have been taking and abusing prescribed benzodiazepine for several years. Users often develop a tolerance to benzodiazepines after taking high doses for a long period of time. As tolerance gets stronger, the user needs higher doses of benzos to get the same effect. If you have tried to cut down the dose of benzodiazepines that you take, or not taken the drug for a day or two and have experienced any of these withdrawal symptoms (listed below), this would confirm that there is a physical dependency. You may not be aware of this because you may have never really stopped taking the drug. If you or your loved one are abusing prescribed benzos or obtaining the benzos (usually Valium) illicitly (either off the street or over the internet), it is advised that you seek medical advice as it is dangerous to just stop. You will need benzodiazepine detox - Let Rehab Healthcare help you!. The withdrawal timeline for benzos is different for every user. The following table is just a guideline, as most people need to taper down their benzo use over several weeks. First 6-8 hours The first signs of withdrawal, typically anxiety and insomnia, may emerge within some hours after stopping use. This depends on how long it takes for the substance to leave the system. Withdrawal symptoms usually appear in 6-8 hours for those taking short-acting benzos. Rebound anxiety and insomnia peak after a couple of days. During this time, intense discomfort from insomnia and increased anxiety are common. Other symptoms that peak during this time are increased heart and breathing rate, sweating, and nausea. People who used longer-acting benzodiazepines start feeling the first signs of withdrawal during this time. The symptoms of withdrawal typically continue for at least 10-14 days before fading away. The withdrawal symptoms to longer-acting benzos begin to peak during this time, eventually fading within 3-4 weeks from the quit date. People who are heavily dependent on benzodiazepines may experience protracted withdrawal syndrome (PAWS). These are random periods of sharp withdrawal symptoms months after quitting. Tapering down benzo use with the help of a doctor can prevent PAWS. The most effective and safest way to treat benzodiazepine dependency is to undergo a medical benzo detox. It is critically important that someone taking benzos does not quit ‘cold turkey’ (i.e. just stopping) as the withdrawal symptoms can lead to grand mal seizures which can be fatal. A medical detox from a benzodiazepine will first involve an assessment by a qualified substance misuse specialist Doctor, who will then write up a detox medication regime whereby the dose is reduced over the course of many weeks. The speed and rate of this ‘tapering down’ process will be a decision that you make with the Doctor and will depend on your motivation, pain threshold and previous experience of benzodiazepine detox; also guided by the NICE Guideline. It is recommended by the British National Formulary (BNF) – The Doctor’s Bible – that people wishing to reduce their Diazepam use, do so at a rate of 1mg every 2 weeks. If you go to an inpatient or residential rehab centre, due to the medical supervision and counselling support you will receive by professionals, the reduction regime can be much quicker – anything up to 3mg every 5 days. If you are taking other benzodiazepines such as Temazepam or Clonazepam, it may be the case that the Doctor will substitute with Diazepam to make the tapering process easier. Benzodiazepine detox alone will rarely in itself be sufficient to help someone addicted to benzodiazepines to maintain long-term abstinence from them. The reason for this is because many people abuse benzodiazepines as a coping mechanism to deal with underlying symptoms of anxiety, depression, insomnia or because they enjoy the feeling of being ‘spaced out’. As with any other addiction, psychological treatment is critical so that such people learn to understand why they feel this way, change their thinking patterns and become more emotionally stable. Relapse into benzodiazepine use is made even easier by the fact that they are so easily obtainable from a GP, on the street or bought on the internet. 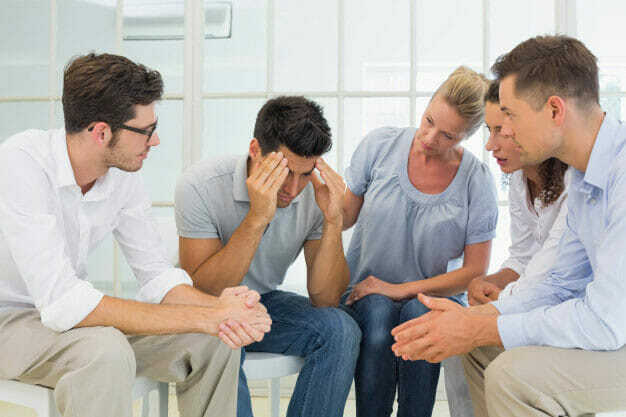 It is for this reason that Rehab Healthcare would strongly recommend that anyone physically dependent on benzodiazepines attends and engages with an inpatient residential rehab that will also carry out the medical benzodiazepine detox. In this way, the doctors, nurses and treatment staff within the unit control the dosing of medication and can amend the reduction plan and prescribe other medications when doing observations of the person going through the detox process. The rehab clinic will also be able to deliver a structured counselling based treatment programme so that the individual can develop the coping strategies required for long-term abstinence. Inpatient, residential treatment provides a secure, temptation-free place to recover, Rehab HC can help you achieve this!. If you know someone who you believe is misusing benzodiazepines, do not hesitate to get in touch with one of our Advisors today. People with benzo addictions are often in denial because quite often they are ‘functioning’ addicts – they can go to work, live relatively normal lives and their use may not have any financial or immediate physical consequences. This is because they have developed a tolerance to the drug and they think ‘What’s the problem?. Rehab HC team is here to guide you through the process of getting help for yourself or for someone you know. Call us now!.